Chairman of China Center for International Economic Exchanges (CCIEE), Vice Chairman of and Chief Chinese Representative to Boao Forum for Asia (BFA), former Member of the Political Bureau of the CPC Central Committee and Vice-Premier of the State Council. Mr. Zeng graduated from the Radio and Electronics Department of Tsinghua University in 1962, majoring in electronics; after graduation he worked in the Shanghai Electrical Appliances Institute and then the Xi’an Rectifier Institute under the First Ministry of Machine-Building Industry. From 1982 to 1984, Mr. Zeng worked in the Commercial Counselor’s Office of the Chinese Embassy in the United States. After returning to China in 1984, he served as Director-General of the General Office and Director-General of the Planning and Construction Department of the Ministry of Electronics Industry, Vice Minister of Electronics Industry, and Vice Minister of Machine-Building and Electronics Industry. From 1992 to 1998, he was Deputy Secretary-General (ministerial rank) and Head of the General Office of the Central Economic and Financial Leading Group, and Vice Minister of the State Planning Commission. In 1998, he became the Minister of the State Development Planning Commission and concurrently Deputy Secretary-General of the Central Economic and Financial Leading Group. In 2002, Mr. Zeng was elected a Member of the Political Bureau of the CPC Central Committee. 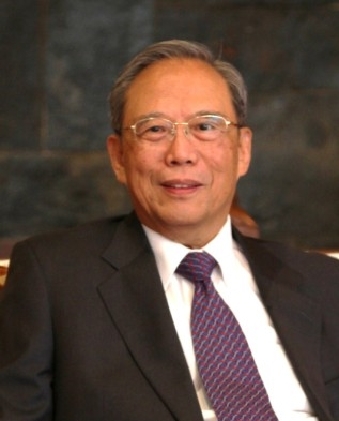 In 2003, He became the Vice-Premier of the State Council. During his tenure in the State Planning Commission and the State Council, Mr. Zeng also held leading positions in the Informatization Leading Group, the Three Gorges Project Construction Committee, the Leading Group for Western Region Development, and the Leading Group for Revitalizing Northeast China and Other Old Industrial Bases of the State Council, and the State Energy Leading Group.